I took this picture just before Halloween this year from my porch in Maryland. 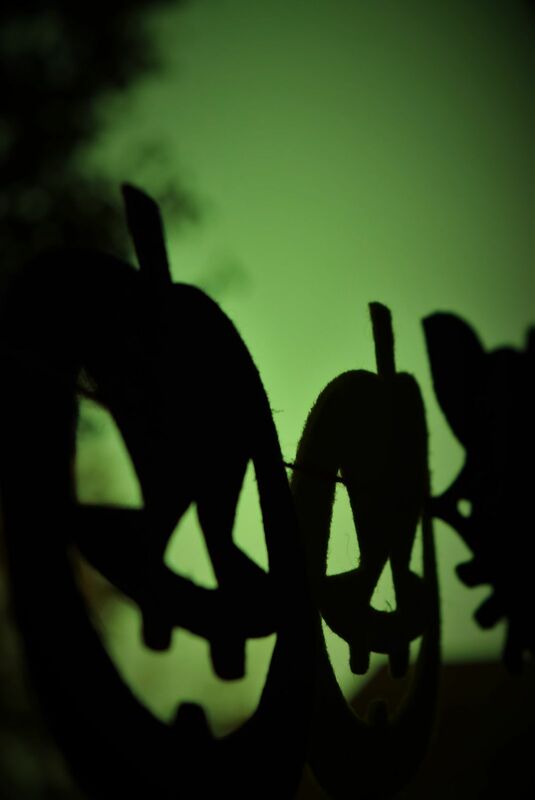 The storm clouds behind the pumpkin garland were an ominous green, like the tornado skies of my youth in the deep South. I loved the contrast of the smiling pumpkins and pending storm.